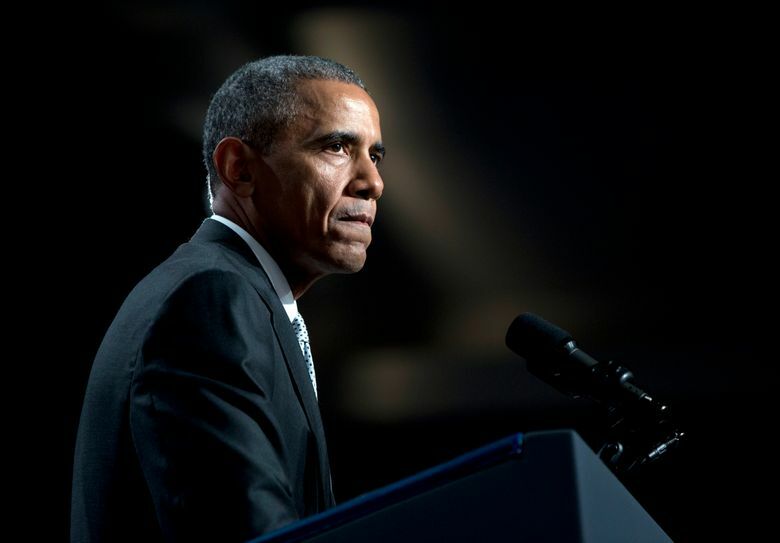 SAN FRANCISCO (AP) — President Barack Obama said Friday he refuses to accept the idea that regular mass shooting are “the new normal” in America but doesn’t expect Congress to respond because of the influence of the National Rifle Association. Obama said his first comments on the church shootings in South Carolina, in which he said that political realities foreclosed action by Congress, had been misinterpreted by some as showing he was resigned to inaction on the issue of access to guns. Before the mayors, Obama held out evolving public opinion on gay marriage and climate change as evidence that attitudes can change. “You all might have had to attend fewer funerals,” he told the mayors. Obama held out actions by mayors from both parties around on the country on issues such as the minimum wage, family leave and broader access to preschool as evidence that changes at the local level can make a difference in areas where Congress has declined to advance his priorities. 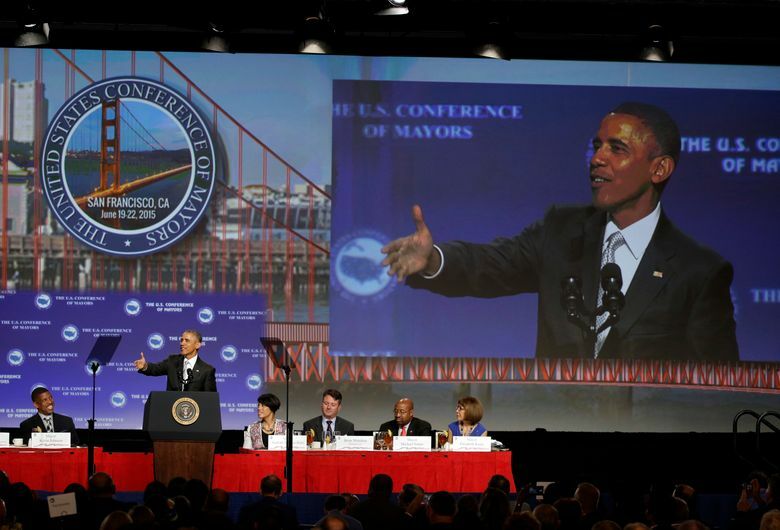 And he urged the mayors to help advance his trade agenda, which has come up against stiff resistance from some Democrats in Congress. “Put some pressure on Congress to get this done,” he urged. 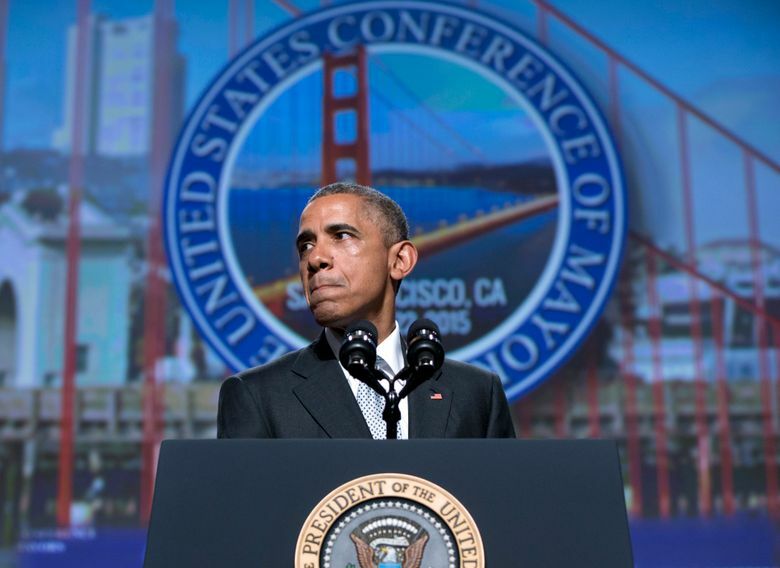 Despite the Democratic revolt over his trade policy, Obama is using his California trip to raise political money for lawmakers who voted against him on the issue, fitting in four party fundraisers over two days with tickets as high as $33,400. He and House Democratic leader Nancy Pelosi put aside their split on the matter at a fundraiser in her San Francisco district. 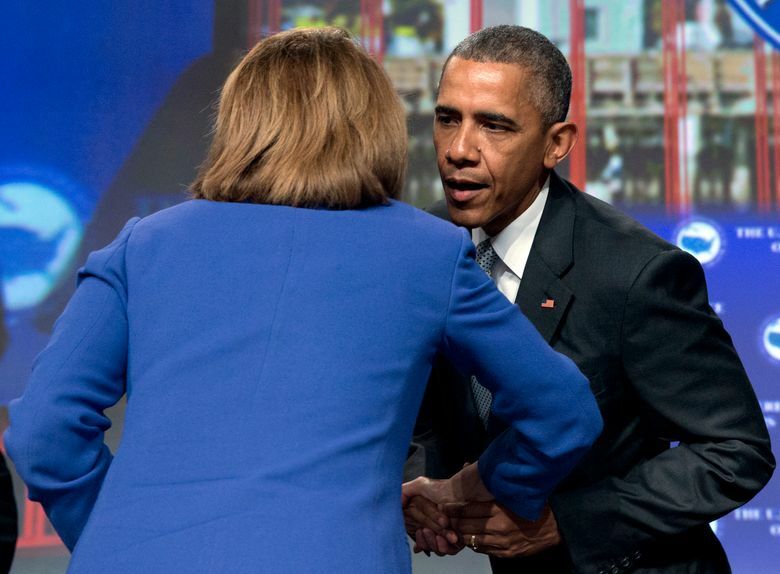 Pelosi was on hand for the mayors’ gathering as well, and the president had a kiss on the cheek for her at the outset of the event.